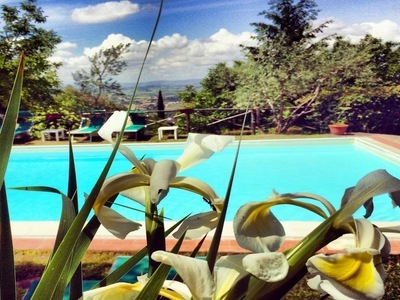 Located in a dominant and elevated spot, this enchanting estate has uninterrupted views across the Cortona valley. 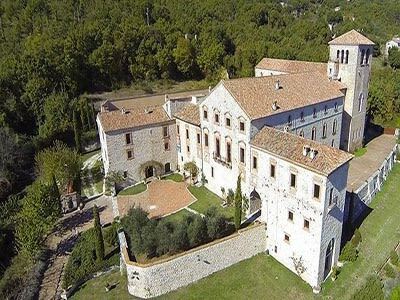 This incredible 'borgo' stands in its own 35.38 hectares of gardens, woodland, arable land which includes chestnut trees and olive groves. 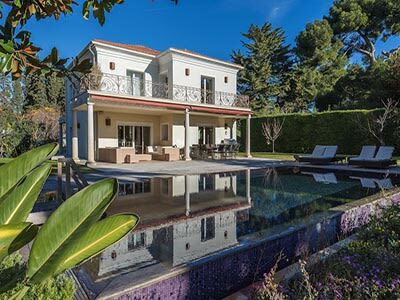 The garden has a beautiful 5m×10m swimming pool with a barbecue and patio area. 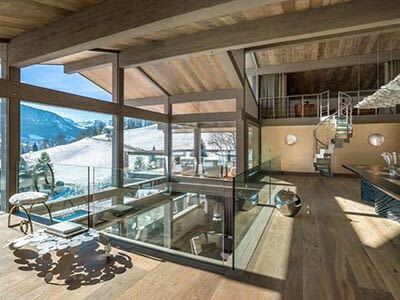 The estate is comprised of 4 buildings, which are subdivided into 7 independent apartments measuring approximately 646m2. 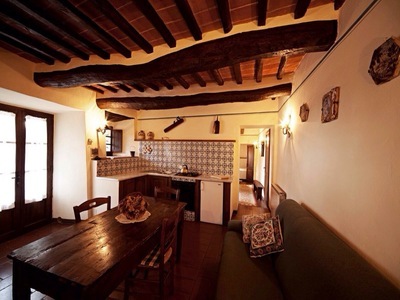 Each of the apartments is divided differently but they are all decorated in a typical Tuscan style, representing the characteristics of the original structure. Five of the apartments have a kitchen, living room, a double bedroom and a bathroom. The remaining two apartments are slightly larger as they have a kitchen, living room, an antique fireplace, two bedrooms, two bathrooms and access to a private patio. 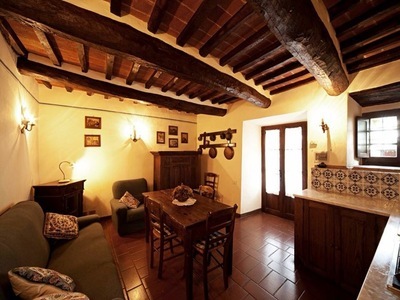 The property is in good condition, as the current owners have maintained the original characteristics of the villa. The property is in good standing and in compliance with local building and zoning regulations. When a sale is registered to a private individual, it is subject to a mortgage and/or cadastral registry fee, following the laws for that specific case/circumstance of the buyer. 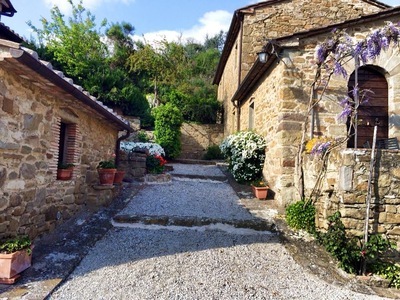 The property is ideal for anyone who has dreamed of owning a home in the Tuscan hills of Cortona for private use or vacation rentals. 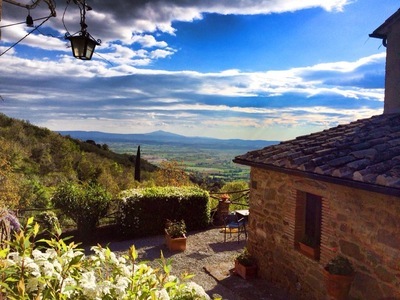 Borgo di Cortona is located in the hills just outside the enchanting town of Cortona. 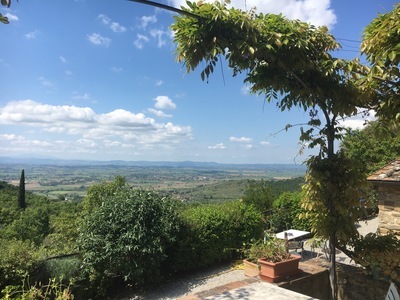 The city is a typical historical Italian town located on a hilltop, where one can enjoy in the splendid panoramic views of Lake Trasimeno and the surrounding valley. 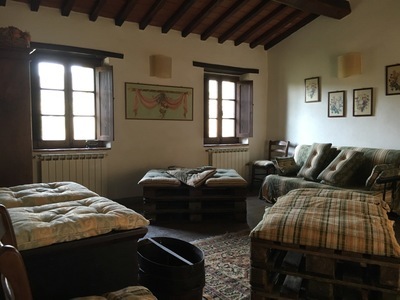 Cortona is ideal for those passionate about history and culture and an authentic location for someone to immerse themselves in Italian life just as Frances Mayes represents in both her bestseller and famous film Under The Tuscan Sun. Tourists today still flock to Villa Bramasole to take a peak at the villa, which inspired the American author to write her book. The University of Georgia also houses their study abroad campus in Cortona due to the city’s strong appeal towards foreigners. 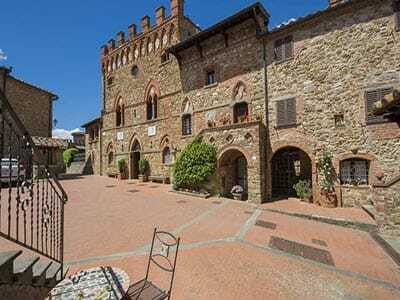 Cortona has an interesting history as the city dates back to Etruscan and Roman civilizations. 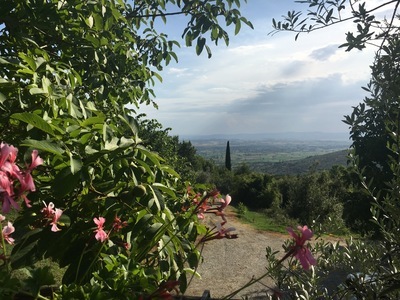 Visitors can spend the day in the Museo dell’Accademia Etrusca, the National Archaeological Park of Cortona, visit the Duomo and other various churches to learn about Cortona’s significant status throughout the Middle Ages. There are also small artisanal shops where one can purchase hand made products and local gastronomical items.